Congratulations to everyone involved in Girls Like That ! The Theatre Sarnia production will represent WODL at the Theatre Ontario Festival in Richmond Hill in May 2019. Girls Like That will be performed on Saturday May 18. For a printable list of awards click here . Awarded to Jessica O'Connor for varied roles, Absolutely Fred... , Cambridge Community Players , who brought sweetness and love to the stage. Awarded to Jerrold Karch as Virgil, Strangers Among Us , Theatre Burlington , for playing a great "flawed man". 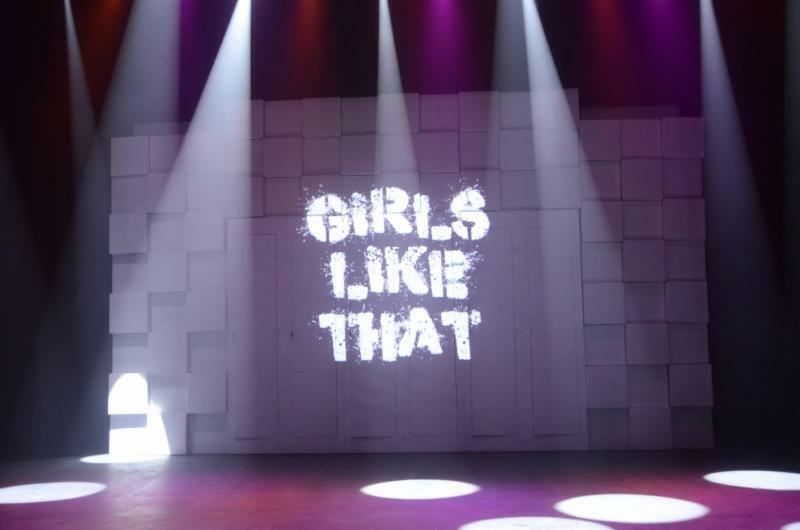 Awarded to Girls Like That , Theatre Sarnia , for an inspiring and stimulating production. I was caught up in this powerful story from the outset with the set, lights and pillars of colour. Awarded to Virginia McEwan as Gabrielle, Strangers Among Us , Theatre Burlington for incredibly believable moments of humour and heartbreak. Awarded to Henri Canino, Girls Like That , Theatre Sarnia for choosing creative music that totally represented the excitement, and sensuality, of what it is to be a young girl today. Awarded to Peter Jonasson as Art, Strangers Among Us , Theatre Burlington for being the star of Maja's favourite scene in Festival...sticky notes, guitar and heart. 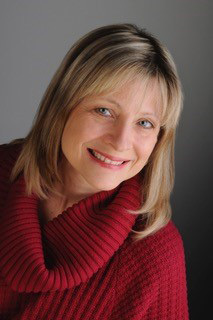 Awarded to Jackie Burns, Girls Like That , Theatre Sarnia for imaginative, complex, and polished choreography. 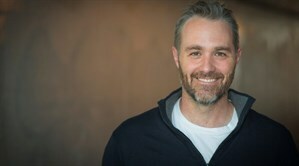 Awarded to Ian Alexander as Guy, Girls Like That , Theatre Sarnia for projection design that is a powerful part of the play--and vividly, creatively realized. Awarded to Alex Riker as Norman, Bare Bear Bones , Paris Performers' Theatre for the best hangover acting, so good he shut the birds up. Awarded to Maureen Dwyer, Strangers Among Us , Theatre Burlington for giving us a beautifully realized story and introducing us to learning more about this heartbreaking illness. Awarded to Henri Canino, Girls Like That , Theatre Sarnia for clear vision that brought out the best in her cast. Awarded to Girls Like That , Theatre Sarnia. Click here to see the photos from Festival 2019. Most of these photographs were taken by Brian Otto. Kathy Fahey took the party and workshop photographs. Many thanks to both of you! A great job! WODL Festival 2019 - Fading the Spotlight on Sharing! Western Ontario Drama League Festival 2019 has wrapped. This years festival was co-hosted by Elmira Theatre Company (ETC) and Guelph Little Theatre (GLT), a first for WODL. The collaboration proved what a success Festival can be when resources are shared – living up to it’s motto “Spotlight on Sharing” . All told, there were 85 volunteers, including 17 RECAP students that helped plan, prepare and execute a wonderful week. A huge thank you to all of you who took the time from your busy lives to share your talents. Of particular note are the 25 folks who comprised the Festival Management Team – representatives from WODL, GLT and ETC – the smooth running is credited to each one of them! Many thanks to Cambridge Community Players, Theatre Burlington, Guelph Little Theatre, Paris Performers’ Theatre and Theatre Sarnia for sharing your gifts with WODL in comedy and drama, illusion and delusion and the reality of our social interactions in a modern world. This year we welcomed over 40 first timers to Festival – we hope their experiences were warm and welcoming – and we look forward to seeing them again at future Festivals! The workshops shared throughout the week proved to be wonderful theatrical learnings! Special thanks goes out to workshop facilitators; Amanda Brunk, Lisa MacNeil, Michael Grant, Liz Best, Alexandra Lent and Alex Mustakas. Not to forget, all we learned from our adjudicator, Maja Ardal – who hasn’t started their day with pandiculation? Another first at Festival was the wellness offering of yoga – Tracey Eccelstone from Ageless Arts & Yoga shared her leadership 3 different times throughout the week, including one session of chair yoga. Hats off to Alex Mustakas – our wonderful Honorary Festival Chair – and Drayton Entertainment! And one final mention to our fabulous Festival Sponsors: Artistic Landscaping, The Neighbourhood Group, (Miijidaa, Borealis, The Wooly Pub, & Park Grocery), SceneWORK and Playwrights Canada Press! We hope you will continue to support them, as they have supported us! You can catch up on all the Festival nominees and winners on the WODL site http://www.wodl.on.ca/ . Congratulations to Theatre Sarnia who took home Best Production and will represent WODL at Theatre Ontario Festival, this year from May 15-19 in Richmond Hill. If you didn’t get a chance to see this memorable performance, get your tickets at https://www.theatreontario.org/programs/theatre-ontario-festival/theatre-ontario-festival-2019.aspx . and take a trip this May long weekend. This festival is also a co-hosted event, with The Curtain Club and ACT-CO inviting you to join them to see the performances by each regions contenders, adjudications from Carolee Mason and workshops. What were your favourite memories of Sharing the Spotlight – WODL Festival 2019? Share your pictures or stories on our Facebook, Twitter or Instagram page and catch up with photos from the week on our google photo site https://photos.app.goo.gl/WULhW1PjkhjXWTd78 . And now - one final sing along… Fading, Fa-a-a-a-ding, Fading the Spotlight WODL 2019!! See you next year in Cambridge! If you have any special events planned at your theatre in the upcoming months, please let me know! Theatre Ontario Festival brings together community theatre artists from across the province to showcase, to learn, and to celebrate. Theatre Ontario Festival 2019 is hosted by The Curtain Club, with performances at the Richmond Hill Centre for the Performing Arts, in partnership with Theatre Ontario and ACT-CO, the Association of Community Theatres—Central Ontario. Two Festival performances have been chosen, including the WODL production of Girls Like That . We are welcoming Keith Barker, the Algonquin Métis playwright, actor, theatre director, and Artistic Director of Native Earth Performing Arts, as our Playwright-in-Person … and showcasing one of his plays on the Festival stage. We’ll also be hosting a professional development workshop for Adjudicators, and we look forward to announcing our Festival Workshop for guests to the Festival. Information about booking Festival performance tickets and accommodations are available from the Host Theatre at www.theatreontariofestival.ca. Playwrights Canada Press will be selling books at the Theatre Ontario Festival again this year with our glorious discounts up to 50% off! ﻿We’ll have This Is How We Got Here by Keith Barker, this year’s Playwright-in-Person, as well as our newly published books and selections from Nick Hern Books, Theatre Communications Group, Scirocco, Talon, and Coach House Books. We’re looking forward to seeing you!